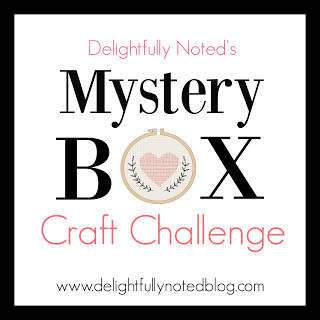 Mystery Box Craft Challenge. For those of you who missed the kick-off and yesterday's projects, it only seems fair that you flashdance your way over there and check them out ! We'll wait............... and while we're waiting, please welcome Mr. Kayne West to the stage. Just kidding, ain't nobody got time for that. 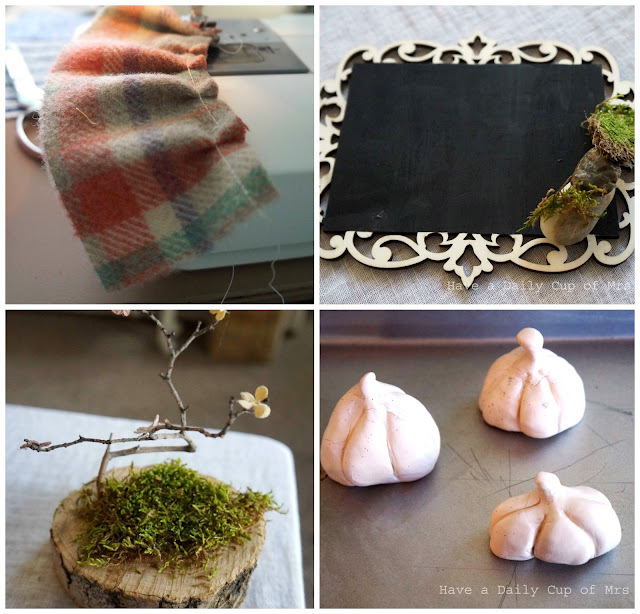 Let's move along to the next four craft project reveals, people! Pssst.....here's the prizes that are up for grabs. 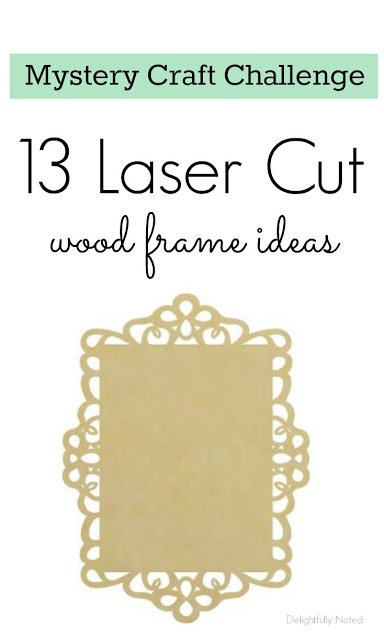 Remember everyone was sent a laser cut wood frame as their mystery craft item and their only rule was to make something out of it! First up today, we have Danette. She has a love for crafting, poetry, gardening and well, they don't call me Sherlock Holmes for nothing, but something tells me she loves coffee too. 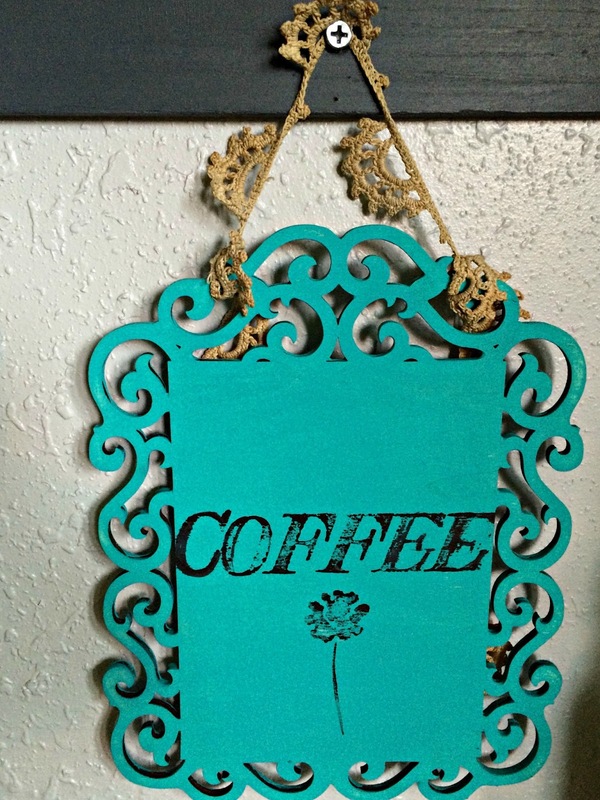 Say hello to this cute coffee station sign! 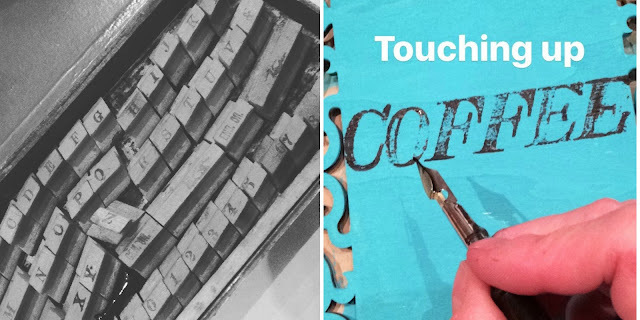 My favorite part of Danette's project is that she utilized some old metal letterpress stamps she had on hand to create her wording. Uno problemo, they had no rubber, but that didn't stop Danette. Nope, she just made her own ink pad out of India ink and paper towels and went to town on her little sign. I really like how it spices up this cozy little corner of hers! I know we aren't suppose to discuss members outside of the group, but I'm pretty sure Danette and I attend the same AQUAholic Anonymous meetings. I just love that paint color! 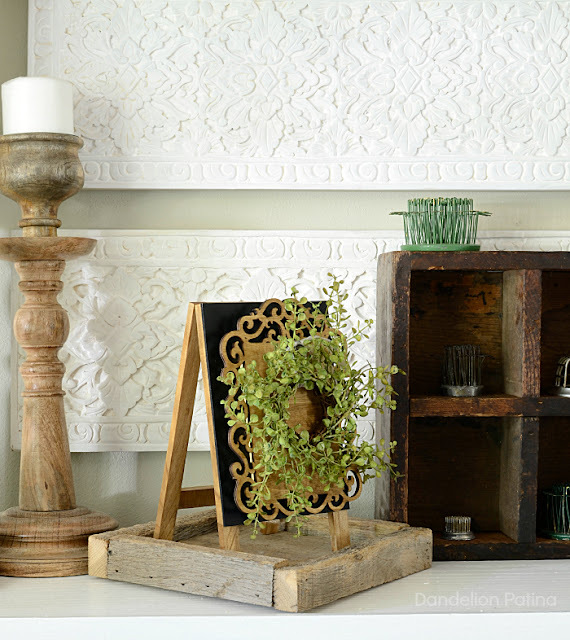 Onto Michelle L, a mother of two girls and the face behind the Dandelion Patina blog If you stalk Joanna Gaines (not that I know anything about that) then not only will you love Michelle's blog BUT you'll want to hug her project reveal. See! You want to hug it, don't you?! 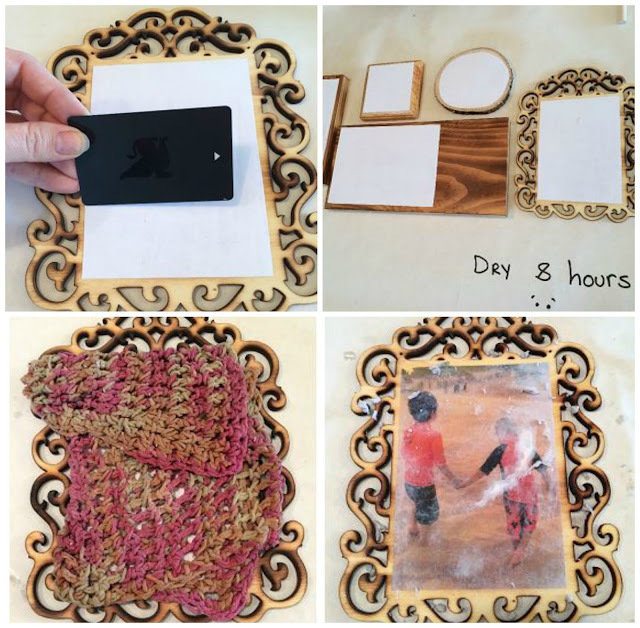 To create this beautiful farmhouse style wreath holder, Michelle stained the mystery craft frame honey oak and then simply attached it to the chalkboard easel (she added a block of wood between the frame and easel so that there would be some depth). 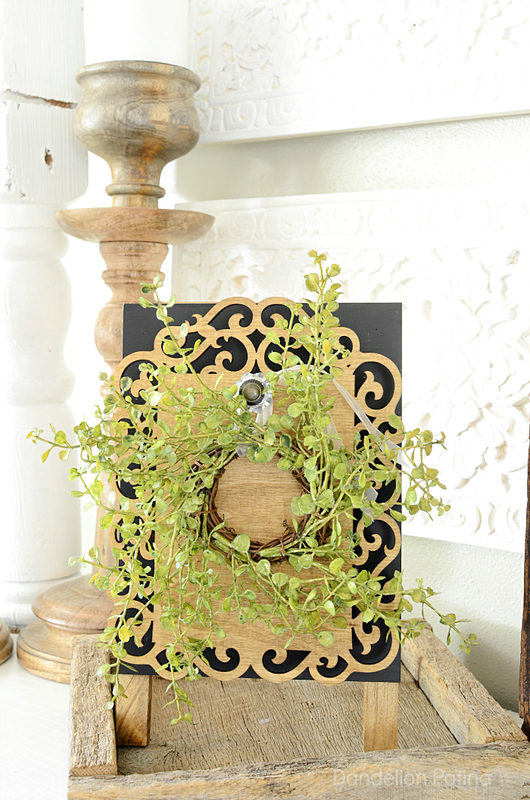 The wreath is held on by a Jim Holtz idea-ology curio knob (glued to the frame with some E600). Our third reveal for the night, is brought to us by Jann of Have a Daily Cup of Mrs. Olson and let me tell you her craft totally re-triggered my bottle-brush-tree OCD symptoms! 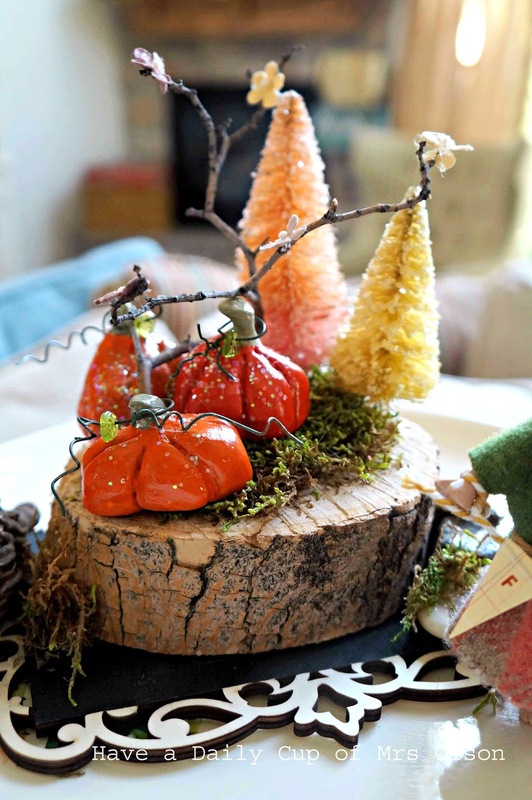 How festive and unique is this fun fall beauty?! 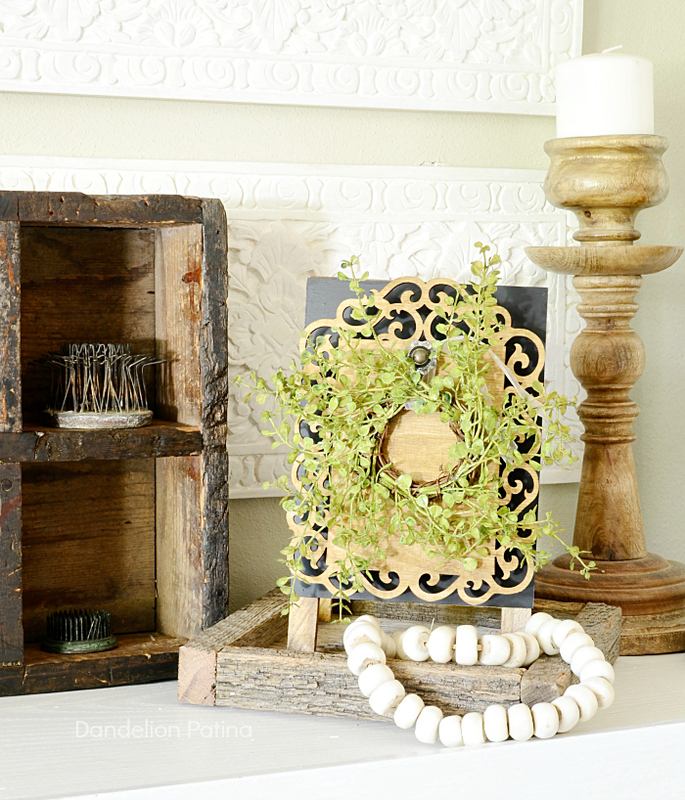 Jann had just picked up a small wood slice at a thrift store the day my package arrived and the second she saw the mystery item, she knew it would be the perfect base for a "fall forest". There are so many fabulous handmade details weaved through out this project and Jann will be sharing a full tutorial on her blog soon, however, you want to know the most amazing part? She made those adorable pumpkins! Yep, out of sculpey clay! The $.75 cent thrift store cupie doll was a precious addition (thankfully Jann designed some clothes for her because this would have gotten a little weird if I had to share a nekked-forest-wandering doll with y'all!) 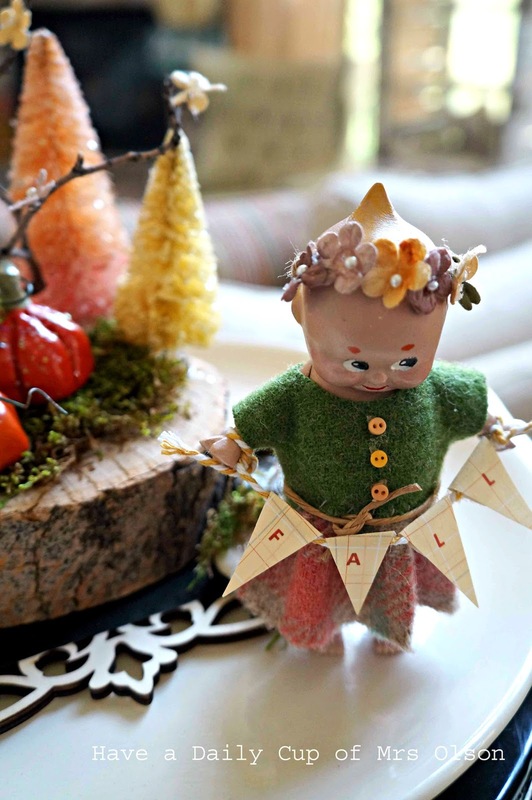 That mini fall garland is pretty stinken' cute too! And now onto our last reveal of the day, from mother of two and full time nursing student, Christie. I have to say out of all my Mystery Craft reveals, she most definitely takes the cake for craziest craft tool EVER! Watch your eyebrows, folks, there's a blow torch! Thank goodness this reveal doesn't end with pics of a smoldering house or gruesome ER pics! 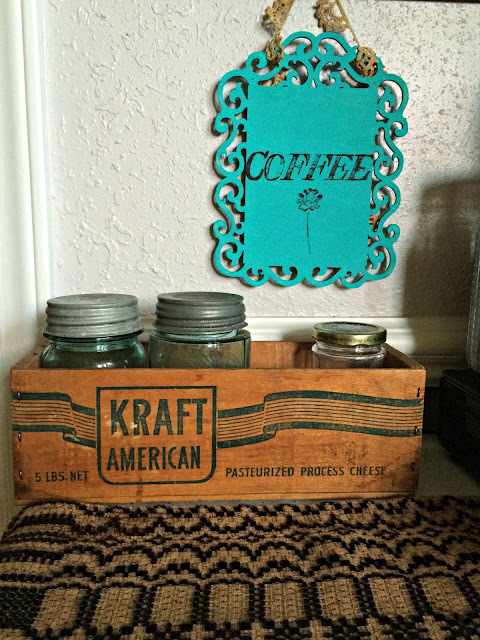 Nope, instead check out this sweet and beautiful wooden photo transfer gallery! NEAT with a capital N, right?! Christie used the blow torch to make the wood grain more pronounced and I just LOVE how it accents her family's precious beach pictures. It's like a cool Instagram filter! After blow torching her mystery craft item (along with other wooden pieces), she then printed her pics out on a laser printer. Then with medium transfer gel, she saturated the front of the images and laid them down face first on the wooden surfaces (using a credit card to smooth out any bubbles). Let dry for 8 hours and then take a wet and wrung out towel and let it sit on the wood for a couple of minutes. Then gently rub off all of the photo paper to reveal the image on top. I'm pretty sure I'll be adding this to my long list of "DIY Projects to TRY", although I'm not certain I should be trusted with a blow torch. EVER. Phew!! What a talented bunch of ladies, right? remember voting will open up on Thursday! You'll be able to choose your favorite right here on the blog, so hope to see you then. PS. You can find more sneak peeks and more mystery news by following me over on Instagram and Facebook! Search #dnmysterycraft to keep tabs on the participants! Oh my, I am loving everything the other ladies came up with! Amazing how they are all so different. Very unique and so much fun!! Thanks for putting this together Jenn! Lovin' them all and totally amazed by the photo project and how to transfer the image. Yes, talented ladies here! How do we vote? Great work everyone. How do I vote? So many great ideas, but my vote is for Jann. Love the Fall decor. Great posts and many wonderful ideas. Loving all these fun ideas. 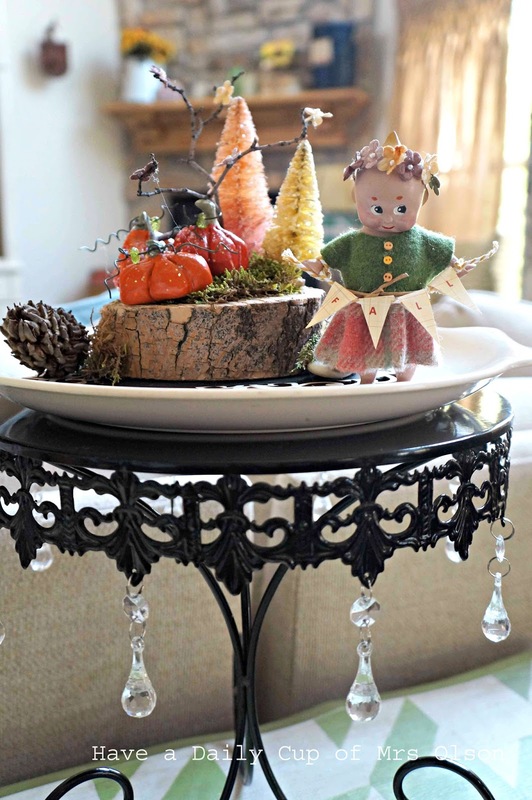 My vote is for Jann, can't get over how adorable her whimsical fall garden turned out.